SCPD are investigating a hit and run crash in Coram. Coram, NY - December 3, 2018 - Suffolk County Police are investigating a hit and run crash that injured a man in a wheelchair on Friday, November 30 in Coram. A 48-year-old man in a wheelchair was travelling southbound in the northbound bicycle lane of Mount Sinai-Coram Road, near Grady Lane, when he was struck by a grey Jeep or SUV travelling northbound on Mount Sinai-Coram Road. The man was thrown from the wheelchair and sustained injuries to his head and neck. The vehicle fled the scene, continuing northbound on Mount Sinai-Coram Road. 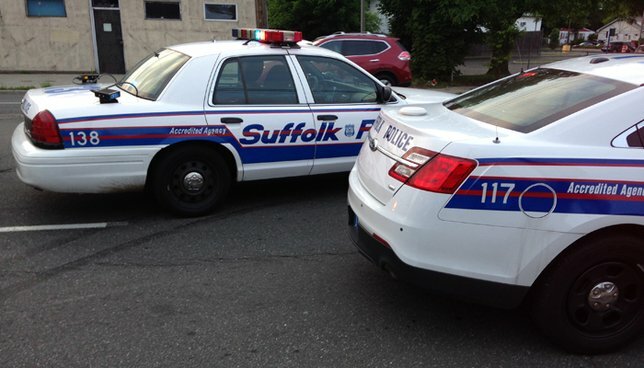 The victim was transported to Stony Brook University Hospital for treatment of non-life threatening injuries. The vehicle is described as a grey Jeep or SUV with oversized wheels. The vehicle may have sustained damage on the passenger side. Police are asking anyone with information about the incident to contact the Sixth Precinct at 631-854-8600 or anonymously to Crime Stoppers at 800-220-TIPS. Rauch Foundation Releases Latest Long Island Index Report; Are We better Off Then We Were A Year Ago? Subject: LongIsland.com - Your Name sent you Article details of "Suffolk Police Report Man in Wheelchair Injured in Hit and Run Crash"